Wendy Kline's lucid cultural history of eugenics in America emphasizes the movement's central, continuing interaction with popular notions of gender and morality. Kline shows how eugenics could seem a viable solution to problems of moral disorder and sexuality, especially female sexuality, during the first half of the twentieth century. Its appeal to social conscience and shared desires to strengthen the family and civilization sparked widespread public as well as scientific interest. Kline traces this growing public interest by looking at a variety of sources, including the astonishing "morality masque" that climaxed the 1915 Panama Pacific International Exposition; the nationwide correspondence of the influential Human Betterment Foundation in Pasadena, California; the medical and patient records of a "model" state institution that sterilized thousands of allegedly feebleminded women in California between 1900 and 1960; the surprising political and popular support for sterilization that survived initial interest in, and then disassociation from, Nazi eugenics policies; and a widely publicized court case in 1936 involving the sterilization of a wealthy young woman deemed unworthy by her mother of having children. 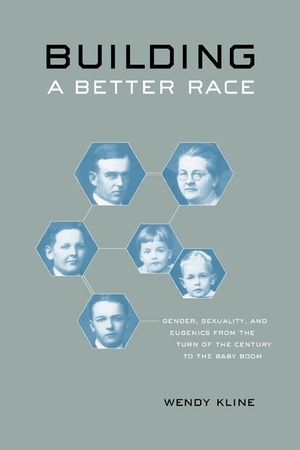 Kline's engaging account reflects the shift from "negative eugenics" (preventing procreation of the "unfit") to "positive eugenics," which encouraged procreation of the "fit," and it reveals that the "golden age" of eugenics actually occurred long after most historians claim the movement had vanished. The middle-class "passion for parenthood" in the '50s had its roots, she finds, in the positive eugenics campaign of the '30s and '40s. Many issues that originated in the eugenics movement remain controversial today, such as the use of IQ testing, the medical ethics of sterilization, the moral and legal implications of cloning and genetic screening, and even the debate on family values of the 1990s. 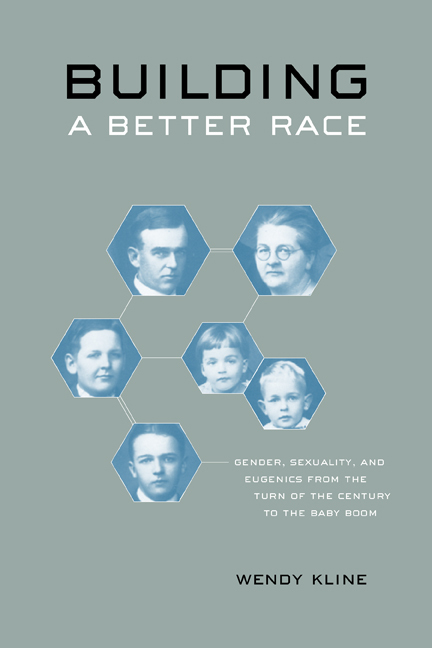 Building a Better Race not only places eugenics at the center of modern reevaluations of female sexuality and morality but also acknowledges eugenics as an essential aspect of major social and cultural movements in the twentieth century. Wendy Kline is Assistant Professor of History at the University of Cincinnati.